Brighton College Register: Son of F. Martin or Hubbart's Bridge, near Boston. Brother to George Martin (BC reg. 3405). "The freedom of each and every one of us was paid with the sacrifice you and so many others made. You will never be forgotten." Walter Martin was born on the 24th August 1893 in Lincolnshire. He was the 4th son of Frank Martin, a farmer and Land Agent, and his wife Violet who lived in Hubbert’s Bridge, Lincolnshire. Martin initially attended De Aston School in Market Rasen, Lincolnshire but then, like two of his three brothers before him went to Brighton College in 1909, one brother having died young. While at the school he was an accomplished footballer described in the report for the 1st XI as ‘Neat with his feet and a fairly sound tackler’. He was also a member of the “Playground Committee” and a Lance Corporal in the OTC while on academic front he was presented with a prize for Mathematics in 1911, thus escaping the Dean Of Chichester’s acerbic comment that ‘God [must be] very fond of the commonplace boy, because he had made so many of them’. 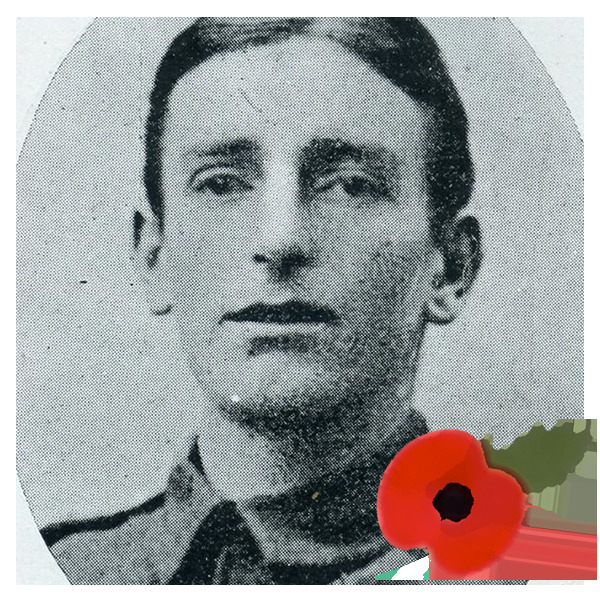 After leaving the school he became an engineer’s assistant with Black Sluice Commissioners (an agricultural engineering and drainage firm) before joining up on the outbreak of war in August 1914. He had, therefore, clearly proven himself because he had just been recommended for a commission, which would have involved returning to Britain and receiving officer-training. Martin has no known grave but is commemorated on Panel 13 of the Loos Memorial, France and the War Memorials in both Boston and Hubbert’s Bridge, Lincolnshire.